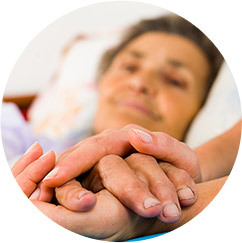 We know you want the very best for your loved one, and we’re here to provide that high level of compassionate care. Though you overflow with patience and generosity, even the utmost virtue cannot meet every need for your disabled, elderly, or chronically ill loved ones. That’s okay. That’s why we’re here — to be an extension of your love for the one you care most about. So often, the needs of a loved one are met through radical sacrifice of a family member. These sacrifices, while selfless, can cause great distress over time — health-wise, professionally, personally, and especially emotionally. When the burden of care becomes imbalanced, burnout can turn a once loving relationship into a resented obligation. That isn’t fair to anyone. Whether your loved one can articulate it or not, they want you to be happy, too. 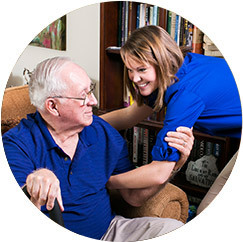 Respite care and in home care from our Fort Mill, Rock Hill, and Tega Cay caregivers makes that possible. Caregiving is a major responsibility. Respite care and in home care allows time to care for yourself without sacrificing the quality of care your loved ones receive in Fort Mill, Rock Hill, and Tega Cay. You are able take time to meet your personal needs with the assurance that your loved one is comfortably in the care of a highly-trained and trusted caregiver. Regardless of location or time of day, respite caregivers seamlessly pick up where you leave off — whether that’s just once or on a recurring basis. This care, like all FirstLight care is available to all ages, though most frequently requested for the elderly. You are a caregiver, yes. And, you are also much more. Your passions, personal relationships, downtime hobbies, and life experiences all make you … you! Invest in them. The best care you personally can offer your loved one comes from you at your best, and that requires attention. Elevated stress, exhaustion, and a multitude of serious health complications are greatly reduced when you take time to be on the receiving end of care. There is no need to invite damage to either your health or the relationship you share with your loved one. Establishing a balanced care routine that leverages the appropriate level of respite care preserves vitality personally, and in the caring relationship. 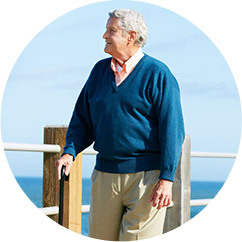 FirstLight delivers the high standard of care you provide, while giving you the opportunity to reconnect with yourself and return energized. Reach out our team today to learn more about our respite care and in home care services in Fort Mill, Rock Hill, Tega Cay, Pineville, and Indian Land.